Americans everywhere say there’s not a whole lot they can tell black teenagers right now other than good luck and stay safe. WASHINGTON—Following Saturday's not guilty verdict in the George Zimmerman trial, an exasperated and speechless nation could reportedly do nothing other than wish black teenagers good luck out there, saying that they’re definitely going to need it. “Try to stay safe, okay?” he added. 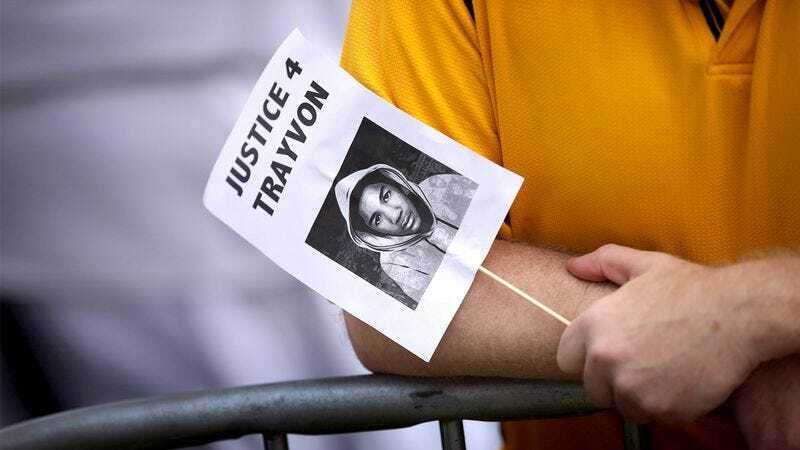 After neighborhood watch patrolman George Zimmerman was acquitted of all charges in a case where he admitted to shooting and killing unarmed 17-year-old Trayvon Martin, a frustrated U.S. populace said that maybe the only thing left for black teenagers to do is hope and pray for the best. In addition, the citizenry said that it’s basically gotten to the point where African-American teens need to avoid walking alone, hanging out in groups, or even minding their own business, especially if they are planning to do any of those things in public. Moreover, the nation told reporters that it’s pretty clear all black teenagers—whether they live in inner-city Chicago or the Florida suburbs—are pretty much on their own now, and the sooner they understand that nobody will be able to help them, the better off they’ll be. In addition to urging African-American youths to just keep their heads down and hope nobody messes with them, the populace noted that it couldn’t hurt if they also avoided making any fast movements, putting their hands in their pockets, or wearing anything that could somehow be construed as intimidating.